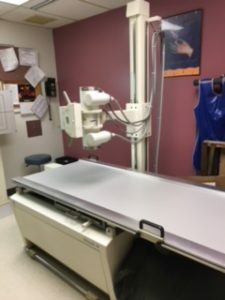 In 1994 Cancer Center of Kansas acquired a brand new x-ray machine but 23 years later, as of December 1st, the machine has retired from it’s CCK work and has been sent abroad to be a helping hand in the midst of chaos. CCK chose to donate the x-ray machine to Nhowe Mission Hospital in Macheke, Zimbabwe, Africa where a fully-functioning hospital and high esteemed orphan program is present to serve the needs of those near. This hospital was established to provide medical care for “the neediest of the needy in Zimbabwe”. CCK is extremely supportive of their efforts and is appreciate of the opportunity to give to the country that needs any assistance available.